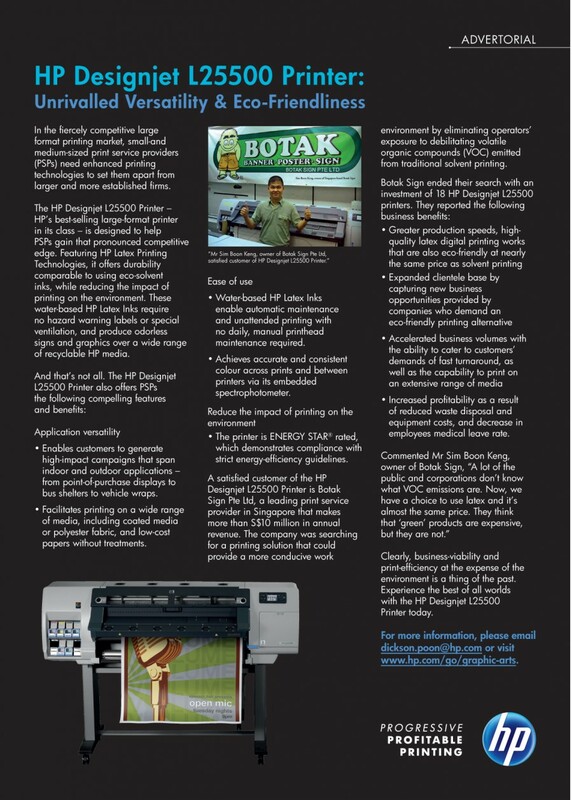 Botak Sign would ensure good quality Print with suitable materials & colour accuracy, enriched by our Display Systems. Striving to be the master of print, we will do the best until the last man stands. •	Pride in treating all staff as family, to guide and grow together so as to achieve our same goal. •	Regard our suppliers as partners, to communicate and grow together. •	Innovate and collaborate with all business partners, to share benefits. •	Never see competitors as rivals, but as friends whom we respect and learn from. •	To be more involved in non-profit printing, so as to contribute and give back to the community. Botak Sign will continue to explore all possible aspects to enhance the usage of printing technology in every way, starting from being both environmentally friendly and connecting online. 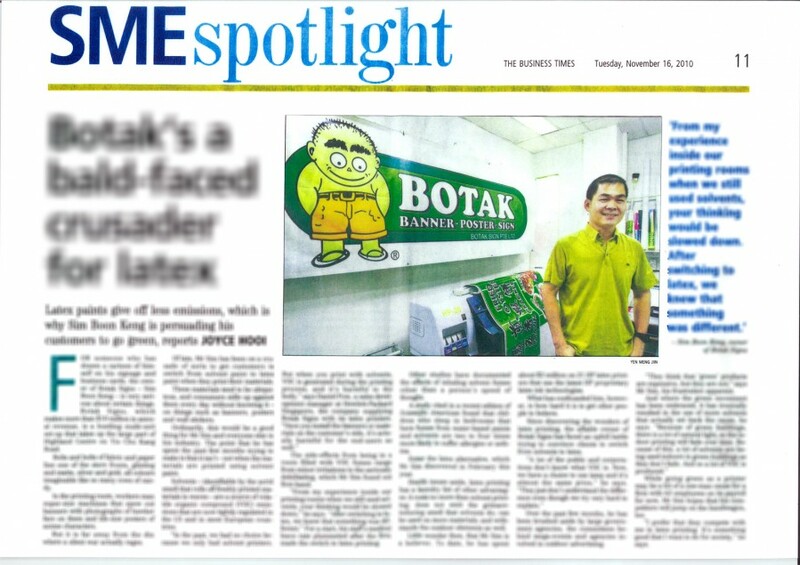 Botak Sign Pte Ltd was established in 1991. 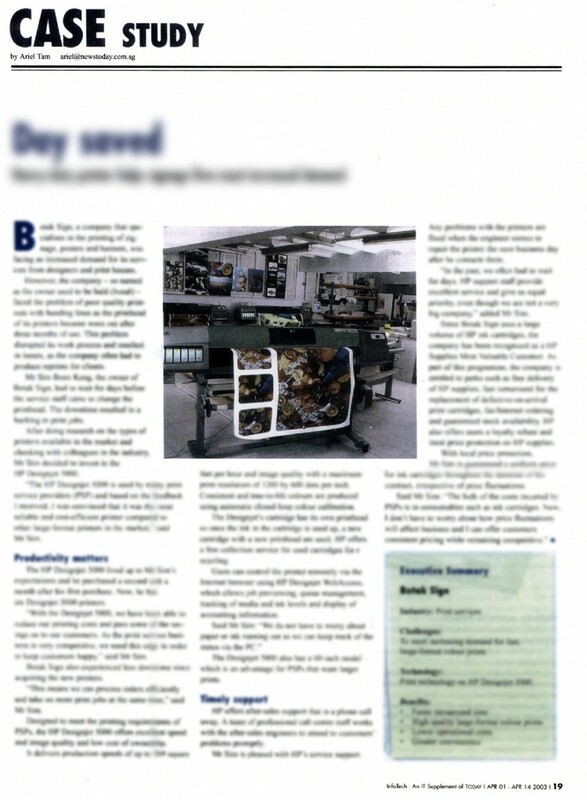 We started from a humble Vinyl Sticker Cutting provider; and with much effort, we started moving into Large Format inkjet Printing. 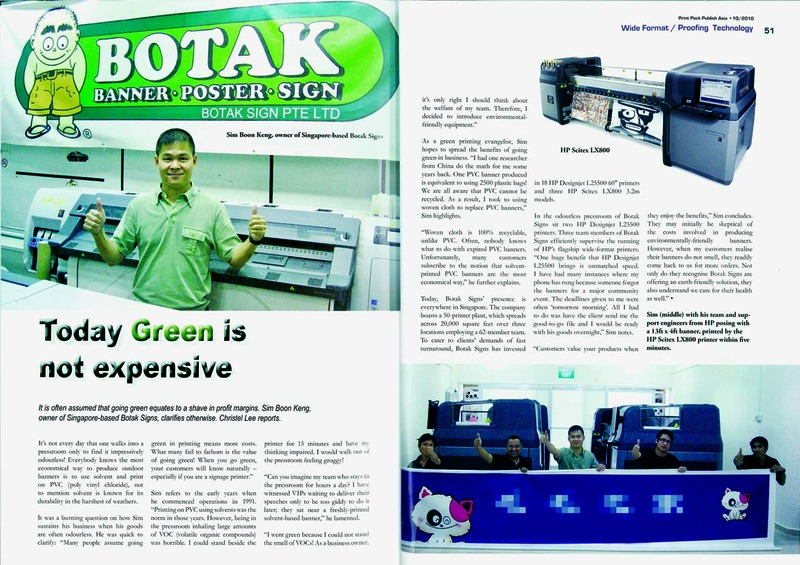 Botak Sign Pte Ltd has steadily progressed to what we are today, one of Singapore’s the leading companies in large format printing. 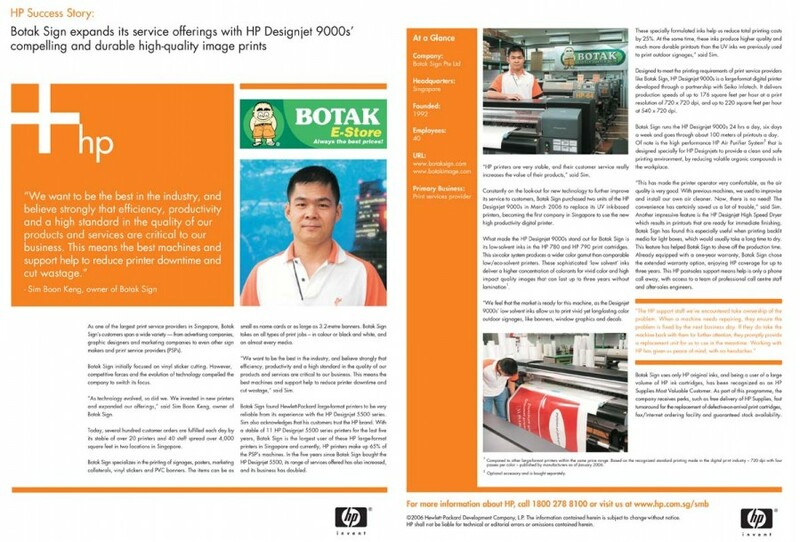 Several hundred of our customers’ orders are fulfilled everyday by over 34 units of printers that are run 24-hours. 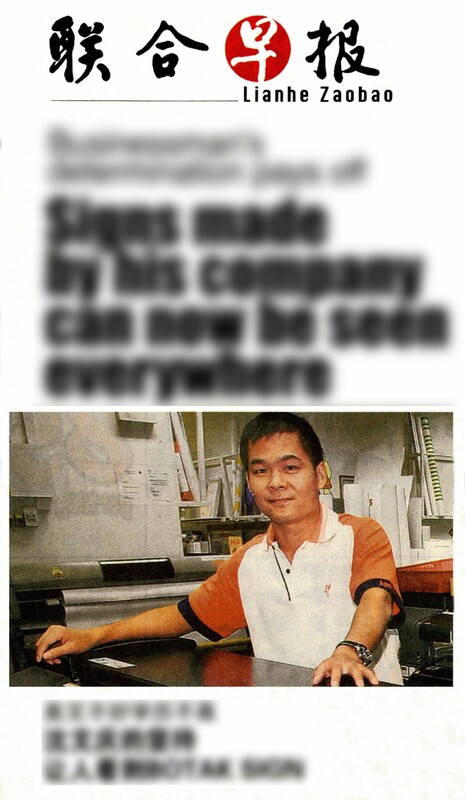 We have over sixty staff members spread over 8,000 square feet at 3 locations in Singapore. In order to stay at the forefront of industry, we at Botak Sign Pte Ltd are constantly improving our services and investing in the latest machinery to give our valued customers the highest quality print output at an amazing quick turnaround time. We also provide free colour proofing for all projects; this additional service will help our customers to get the ideal expected colour they need. Our customers are mainly advertising agencies, designers, exhibition builders, events and signages industry. 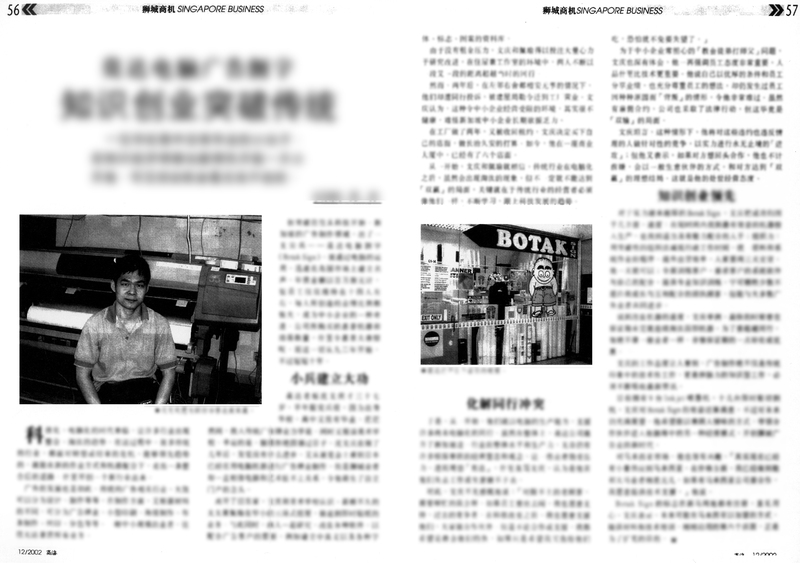 In early 2007, Botak Sign Pte Ltd created a new brand, the Boni Display Product Specialist. With our new brand, we now have a good range of display products for retail & exhibition usage.